Maintaining your bike is vital to ensuring that it stays reliable and performs at its best. To really get the most out of your bike, here are a few quick checks you can do before every ride. Your tyres are your only point of contact with the road, and checking them can save a lot of trouble down the road. 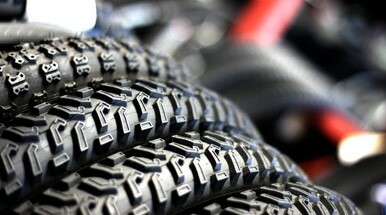 Mountain bike tyres can be checked just by comparing the thickness of the remaining tread to the rest of the tyre – if it’s less than 3mm the loss of grip will be quite severe. Road bike tyres can be a little trickier, as the tread depth is shallower or sometimes doesn’t even exist. Most tyres (even slicks) will have dimples to use as wear guides. Once the dimples to disappear, it’s time to replace. It's always a good idea to check your tyre pressures before each ride as well, as an incorrect tyre pressure can adversely affect the handling of your bike. Air will naturally escape through the rubber of your tyre/tube over time (this is normal), so if one tyre is losing pressure faster than the other, it's a good indication something might be wrong. There are few things scarier than failed brakes when you're out on your bike. Check the pads for excessive wear. Disc brake pads should be replaced when they get down to 1mm of friction material left. Rim brake blocks should be replaced when the surface grooves wear down to 1mm deep. If your rim brake pads wear completely smooth, wet weather braking will be drastically reduced. Keep your chain clean and lubricated and it will last longer and run smoother. For wet weather, use a 'Wet' lube. For dry-to-mixed conditions, use a 'Dry' or 'Wax' lube. Did you know: Your chain will gradually “grow” in length over time, slowly stretching under tension from pedalling. 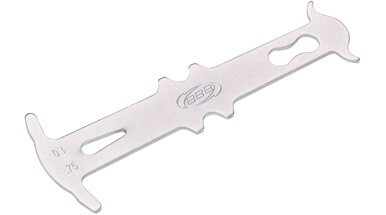 Using a chain checker like the one pictured, you can keep an eye on how much the chain is stretching. When it reaches 1% grown (which takes quite a while), it's time to replace. Sticky and slow gear changes can be really irritating when you're out on a ride. If your bike spends a lot of time outdoors in the rain, rust can form on the gear cables and cause friction. Most gear cables run through outer sleeves which are lined with plastic, which don't need lubricating from new (teflon coated cable sleeves should never be lubricated). However, if your cables are a bit stiff, you can put a couple of drops of dry chain lube into the outer sleeve before your thread the cable through it. Another cause of stiff gear shifting can be friction in the derailleur hinges. Keep them clean and use a couple of drops of dry or wax lubricant on the hinges, and your derailleur will stay smooth. If your shifters are smooth, but your chain keeps jumping in and out of gear, your derailleurs may be out of alignment. Take a look at our How To Adjust your Bike Gears guide to learn how to fix them. 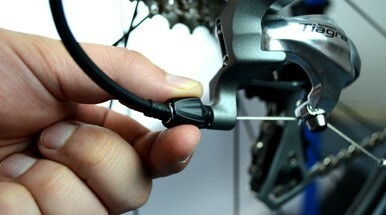 This is particularly important on high performance bikes which are subject to long hours of use. The bolts on your bike can slacken off due to vibration. Don't worry, this isn’t a fault with the bike. The high frequency vibrations coming through the 120psi tyres on your road bike will cause this just as badly as the heavy rock garden vibrations you get on your mountain bike. Just because the bolts have worked loose, do not be tempted to over tighten them. Overtightened bolts are no less susceptible to vibrating loose, and it’s very easy to damage aluminium and carbon parts through overtightening. 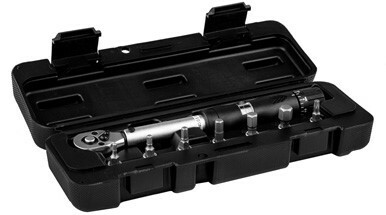 We highly recommend using a torque wrench when tightening down the bolts on your bike.